London is beautiful in the fall. The temperatures have dropped some, but there's still plenty to do and the weather is fine if you have a sweater on or if you wear an extra layer of clothing for early mornings or in the evening. The average temperature in London is 61 F in September. That average temperature factors in the cooler evenings and the drop in temperatures that come later in the month. The average high of the day is 66 F. You may get a day or two of temperatures reaching the 70s. The average low temperature, which is mostly felt at night, is 51 F. You can expect that about half the month you will experience a light rain shower and a fair amount of cloudy days. As an average for the month, you can expect about five hours of sunshine. As the month of September kicks off fall, it is fitting to bring your fall attire on a trip to London. That's not to say that you can or shouldn't bring your t-shirts and shorts. You might get a day or two to wear summery clothes, so pack a couple items for warmer weather. The rule of thumb for when you are on the cusp of warm and cool temperatures is to bring clothes that can layer well. Definitely pack a light jacket. And, toss your umbrella in your suitcase, you will likely end up needing it in September. And, if you plan on doing a lot of sightseeing, bring sensible shoes. That means sneakers or another comfortable pair of shoes you can walk a few miles in without complaint. Open House London (usually the 3rd weekend of September): More than 800 of London's finest buildings open their doors to visitors as part of this annual celebration of architecture and design. All admissions are free but you'll need to pre-book to enter some of the most popular buildings. 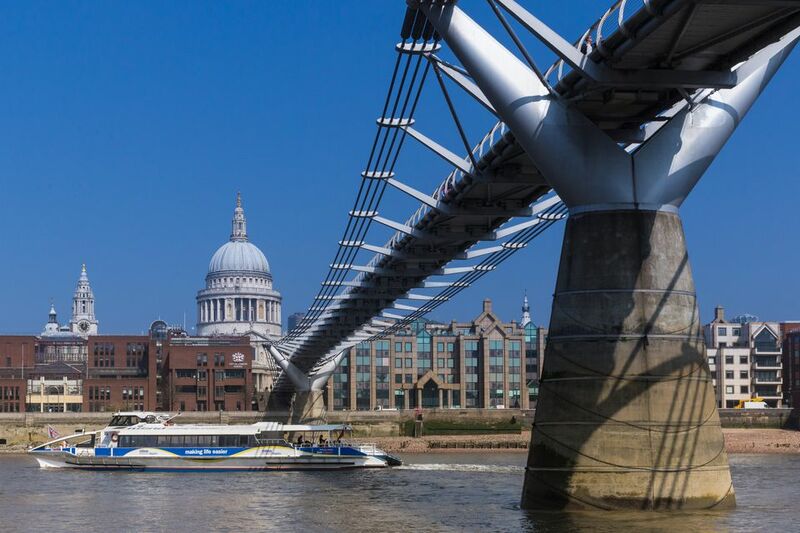 Totally Thames (September 1 to September 30): This month-long festival brings the River Thames to life through a series of cultural events including regattas, river races, art exhibitions, and music performances. Angel Canal Festival (early September): The family-friendly event is along Regents Canal in Islington. Expect craft activities, live music, and food stalls. BBC Proms in the Park (mid-July to mid-September): This is Britain's largest open-air classical music event. "Prom" is short for promenade concert. London Fashion Week (mid-September): Snag some tickets for the London-wide twice-yearly trade show for designers, fashion editors, buyers, and bloggers. London Design Festival (mid-September): This is a celebration of design in London via a full calendar of talks, exhibitions, and creative projects. Great River Race (early September): A 21.6-mile boat race along the River Thames that attracts more than 300 crews from across the globe. Horseman's Sunday (3rd Sunday in September): Horseman's Sunday is a historic event that features a parade of more than 100 horses through Hyde Park led by the vicar of St John's Church. Great Gorilla Run (Saturday in late September): A charity run to raise money and awareness for the Gorilla Organization. Watch runners in gorilla suits follow an 8-kilometer route (approximately 5 miles) through London. Heritage Open Days (early September): A yearly celebration of history, architecture, and culture across England with many free events taking place at heritage attractions in London. International London Tattoo Convention (late September): The annual convention that attracts more than 300 of the world's most prestigious tattoo artists. The BP Portrait Award is the most prestigious portrait painting competition in the world and represents the very best in contemporary portrait painting. The award is aimed at encouraging artists to focus upon and develop portraiture in their work. If you wonder what the inside of Buckingham Palace looks like, well, if you are visiting in September you have picked one of only two months in the year that the Queen welcomes visitors to view the state rooms of her royal home. The Summer Opening of Buckingham Palace occurs in August and September. Don't expect to see the Queen, however, she is not at Buckingham Palace when it is open to the public; she goes to one of her country residences. Get a London Pass and you’ll be able to get into more than 60 London attractions, with transportation included, for a heavily discounted price. In case you were wondering about restaurant etiquette and tipping, in London, tipping is not mandatory. Of course, if you want to, it will be appreciated. But, if you don't do it, the service personnel will not be bothered by it. At some places, you might get a 10 percent services charge on your bill, and most good servers will make you aware of the service charge. If you are planning to go to London in September, buy your tickets at least three months before you go. Airfares are best with at least a three-month lead time. Early September is still considered the high season, so prices might be a little pricier than if you wait to book for the later part of the month. Mid-September begins the "shoulder season," which is the happy midway point between peak season and the low season.